propose feasible ideas to revolutionize the hospitality guest experience in the near term. implemented within 3-4 years, solving real problems within the hotel industry. judged based on a design narrative and renderings. 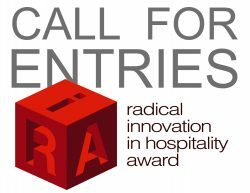 will select their favorite hotel concept entries based on a narrative and renderings. live audience at Hospitality Design Expo on May 15, 2014.
after watching their concept pitches. $1,500 to an honoree and $1,500 to an outstanding student work. Claude Amar, managing director, The John Hardy Group International. immediate impact on industry, narrative, graphics, and viability. execution processes established by the group since 1992.
professionals to imagine a new concept for hospitality. December 3, 2013 in Competitions.